The first biography of a forgotten historical figure, Esteban, much maligned when he is mentioned at all in histories of early America, will be published October 15 by University of New Mexico Press. When Pueblo Indians say, "The first white man our people saw was a black man," they are referring to Esteban and his arrival in 1539. 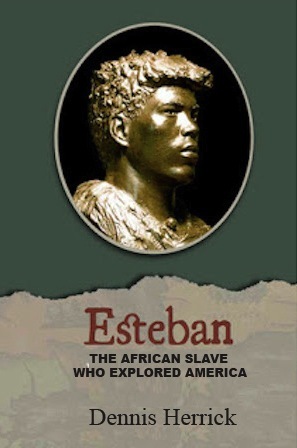 This biography highlights Esteban's importance in early America's history, where he is usually referred to by his slave nickname of Estevanico. Such condescension toward the Moroccan slave has carried over into most history books. In the book, Esteban is given full credit for his courage, his skill as a linguist, and his stature as a cultural intermediary who was trusted and respected by natives from many tribes across the continent. The Esteban book will become available October 15.